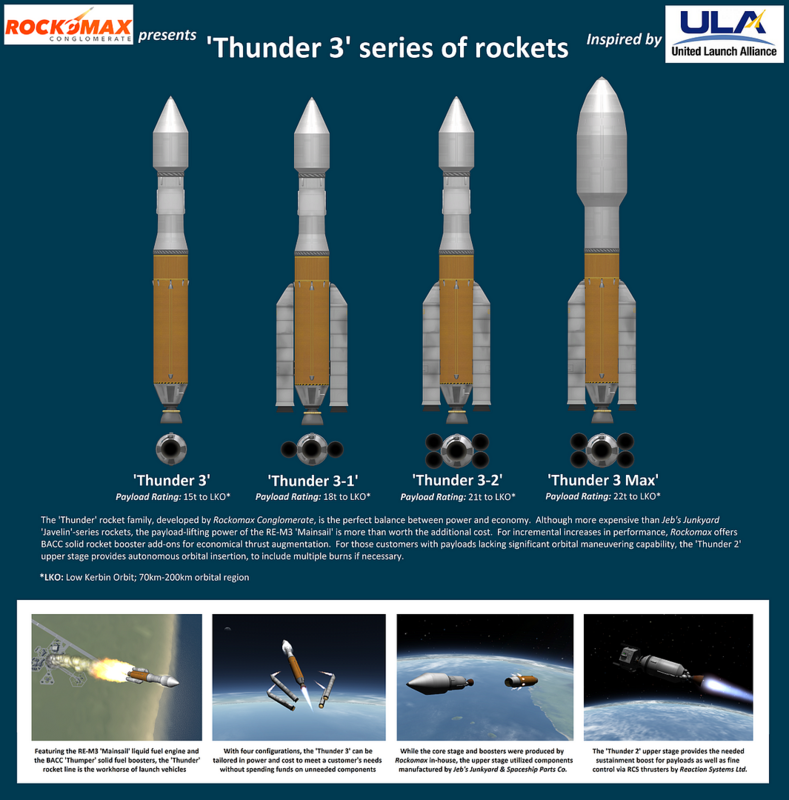 The ‘Thunder’ rocket family, developed by Rockomax Conglomerate, is the perfect balance between power and economy. Although more expensive than Jeb’s Junkyard ‘Javelin’-series rockets, the payload-lifting power of the RE-M3 ‘Mainsail’ is more than worth the additional cost. For incremental increases in performance, Rockomax offers BACC solid rocket booster add-ons for economical thrust augmentation. For those customers with payloads lacking significant orbital maneuvering capability, the ‘Thunder 2’ upper stage provides autonomous orbital insertion, to include multiple burns if necessary.